The Cinema Grey 1.1 Gain is just like the now classic Cinema White, but with a twist. The grey tone of the screen offers a color contrast boost that will spice up your evenings and make everyone a regular attendant to your movie nights. 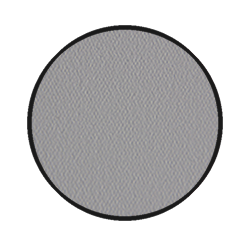 Cinema Grey provides excellent black levels throughout, with zero hot spots and without sacrificing white output. Featuring an extra wide 160° viewing angle, you can make seating arrangements however fits your fancy. Every one of your guests will have a perfect view regardless of where they seat: every seat will be a great one! This means you can watch everything from a football game to a horror movie or play a video game while still enjoying great light reflection and pixel accuracy, with minimum distortion levels and accurate color reproduction. The Cinema Grey 1.1 Gain is just like the now classic Cinema White, but with a twist. The grey tone of the screen offers a color contrast boost that will spice up your evenings and make everyone a regular attendant to your movie nights. 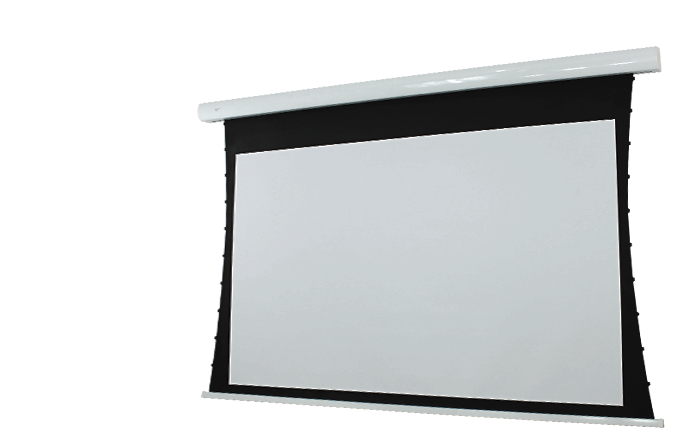 You would never knew you were watching your content over a grey screen: The Cinema Grey provides excellent black levels throughout, with zero hot spots and without sacrificing white output. This material is designed to give the projected image a contrast boost, as well as to give deeper black levels than a matte white screen. The large 160 degree viewing angle allows for a very versatile seating arrangement. In a presence of ambient light, it provides excellent black levels and contrast without a large sacrifice on the white level output. This is an excellent choice where high gain is not needed, and a large viewing angle is a must.